It’s just the best-kept secret in north-west Victoria. Those of us lucky enough to live here wouldn’t live anywhere else! Browse our site to find out a bit more about what it’s like to live and work in Woomelang, and if you can’t find the answers you need: contact us. Want to know about the houses and properties available in the area? Take a look at our Real Estate page – the searches are all set up for you. Want to know about Clubs and Societies, Activities, Schools and Services? Check the Community Directory page. Want to know about Shops and Businesses in Woomelang and the surrounding area? Check the Business Directory page. Want to know what’s going on at the moment? Check the Latest News page. Check us out on Google Maps; from that map you can look at directions from anywhere in Australia. For travel to Woomelang by bus, check the V/Line pages for information about services to and from Woomelang. To find out more about any particular place, look on the Community or Business directory pages and follow the links – or use the Contact page to ask for more information. 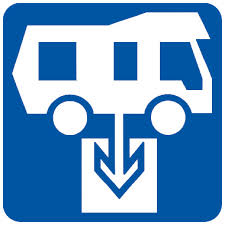 Whether you’re in an RV or caravan, or tenting it, we have the camping spot for you – we’re a friendly town, on the way to and from all sorts of interesting places, and we have great facilities! Check out the Visit Us page for more info. Woomelang!! What's On? shared a video. You don’t need to wear a cape to save a life. You just need to drive to the speed limit. Save a life. Drive safe this Easter. Woomelang!! What's On? shared a post.